Looking for a last-minute Halloween costume that won’t take hours to make?! 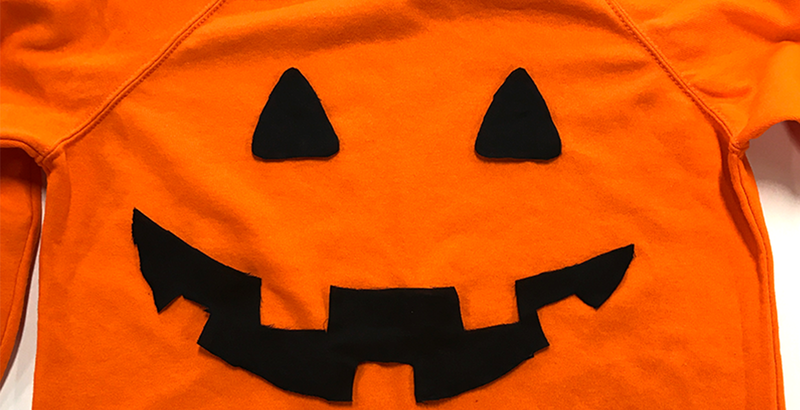 Try your hand at this no-sew pumpkin costume! This low-cost DIY costume idea is ideal for anyone in need for a quick and easy outfit for Halloween. And it’s perfect for kids and grown-ups alike! It only takes a few minutes to throw together and you’ll already have most of the things you need lying around at home so let’s get started! Making this no-sew pumpkin costume is incredibly easy – you can honestly have the whole thing finished in 15 minutes! Although we’d recommend making your costume the night before you need it to give the adhesive on the fabric tape time to dry. To get started, assemble everything you need including a pack of VELCRO® Brand Fabric Tape and Ovals. You might already have everything else lying around at home, making this a great option for a cheap Halloween costume idea. 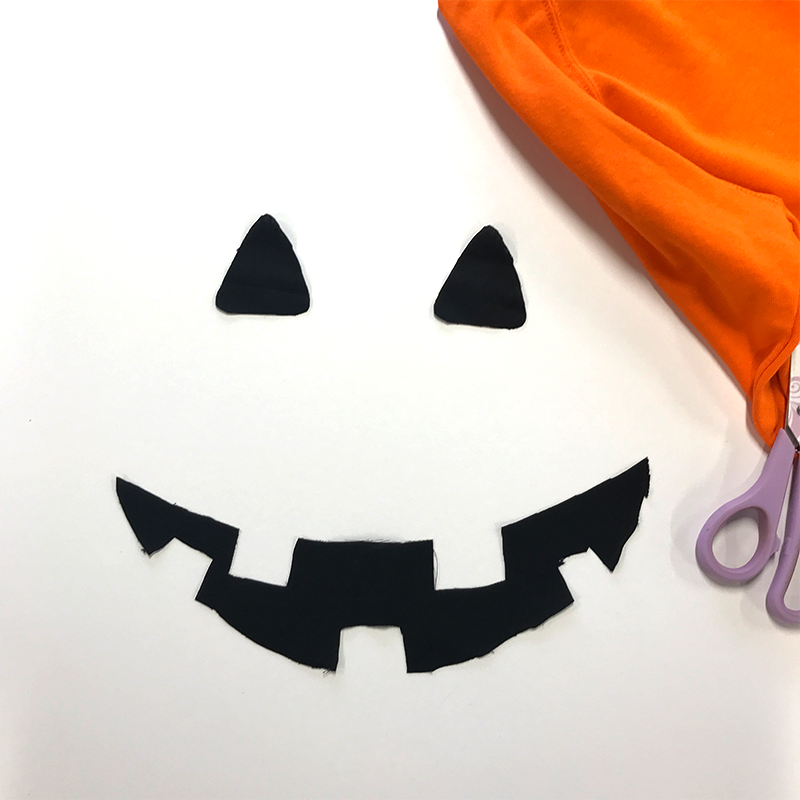 Once you have everything you need, take your black material and draw on the shape of the pumpkin face that you want and cut it out. Then start sticking the face onto the orange sweater. You’ll need three VELCRO® Brand Sticky Back for Fabrics Ovals per eye and three strips of VELCRO® Brand Sticky Back for Fabrics Tape for the mouth. This is where you’ll see your homemade pumpkin costume finally come together! Once you’ve stuck the whole face onto the sweater, that’s it! 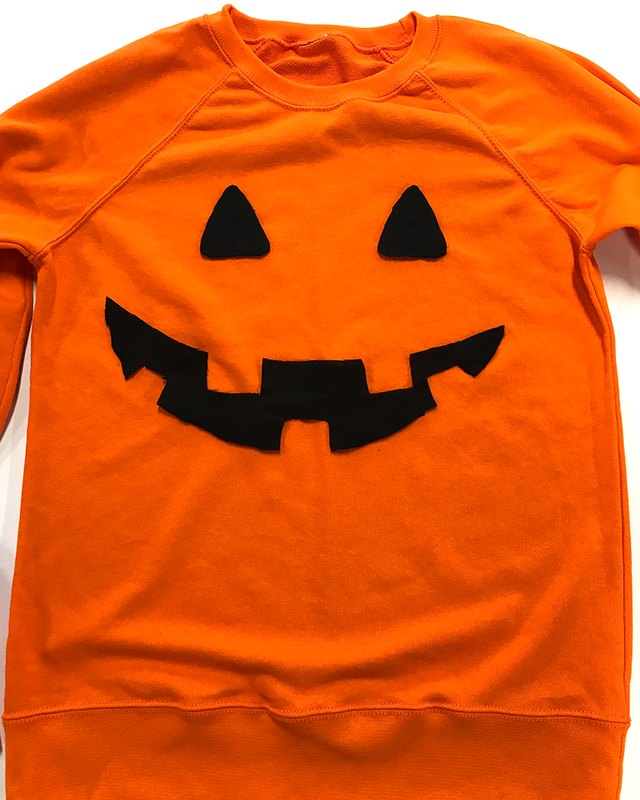 Your no-sew pumpkin costume is finished and ready for Halloween! Complete the look with black pants or leggings and some novelty pumpkin accessories! 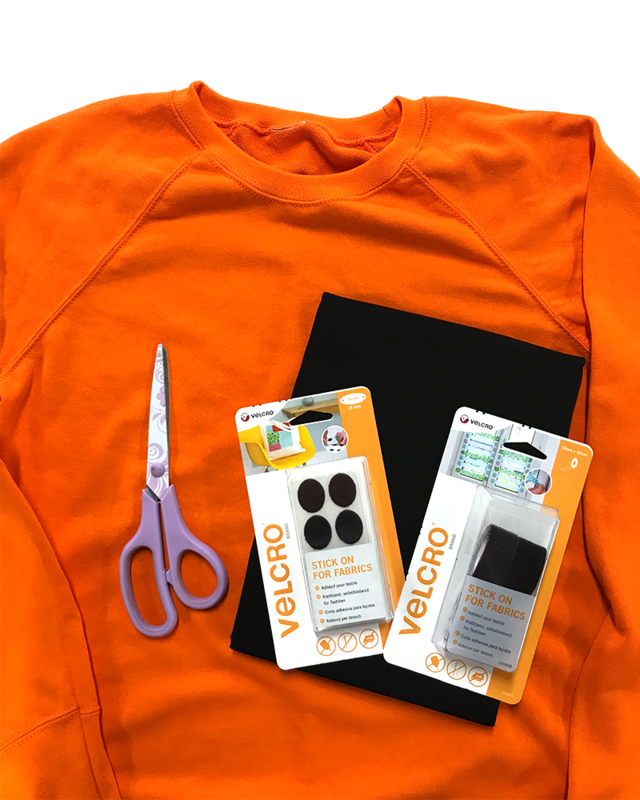 Let us know if you’ve tried making this pumpkin sweater by tagging @VELCROBRAND on Instagram! 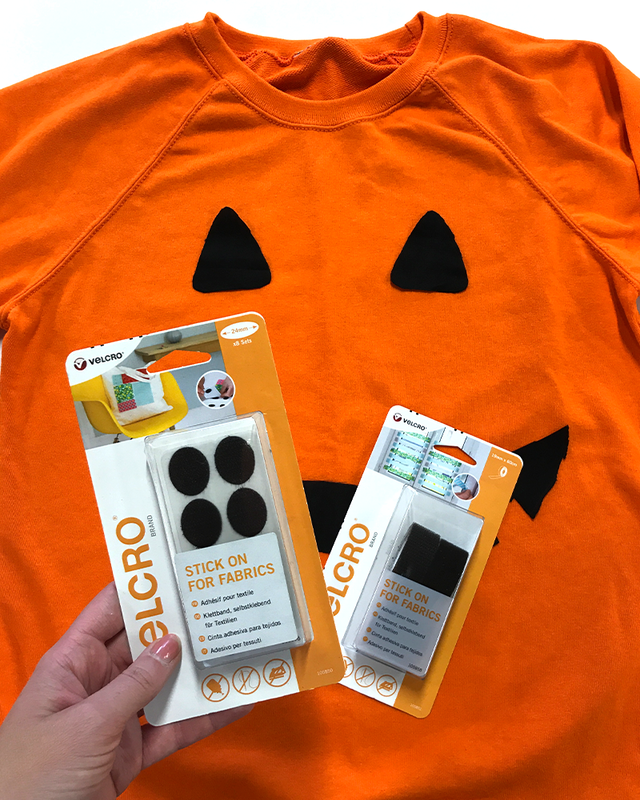 Shop VELCRO® Brand Fabric Tape here or stay on our blog for more easy Halloween ideas!